Research from advisory group Activate has shown that approximately 2.5 billion people are now registered to use at least one messaging app and this number is expected to increase to 3.6 billion by 2018. This accounts for a staggering 90% of the world’s Internet-enabled population. The success of Instant Messaging (IM) has been meteoric with Japan’s LINE and China’s WeChat both acquiring over 500 million users within two years of launch. Clearly, the digital communications landscape is changing rapidly and this is particularly evident in the retail space. IM is not only changing the way retailers talk to their customers, but with recent developments in online shopping, is also revolutionising how we think about buying goods. 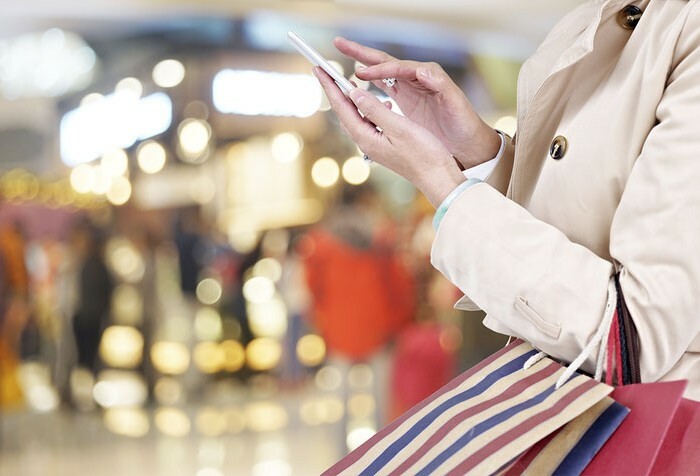 Innovative retail companies are capitialising on the elements of IM that their customers value most – direct, simple and instant communication – and using this to deliver a more valuable customer experience. Providing a platform that allows companies to connect to their customers directly, IM can also help build trust with brands. Take a look at Zalon, a recently-launched online styling service from the Berlin-based e-commerce giant Zalando. Using Whatsapp – Europe’s leading messaging app – Zalando introduced instant messaging to allow users to get in touch with their stylists directly via their phones, free of charge. Aside from styling tips, clients of Zalon can also get advice on where to find and buy specific Zalando products. Similarly, Tictail – a Swedish marketplace for independent designers and small businesses – has released Tictail Talk. Tictail Talk allows users to launch an online store directly from the company’s smartphone app. Store owners can see a customer digitally browsing through their shop and chat directly to their clients, offering discounts and special offers on the spot. With the in-app customer analytics, users can also target specific groups of clients and tailor customised messages for loyal customers based on their shopping preferences. This sort of communication brings stores much closer to their customers and fosters a real sense of customer loyalty and engagement with the brand. Of course, in any discussion about IM and mobile commerce we need to look to China. With over 650 million active users worldwide, Tencent-owned messaging app WeChat is the global market leader. Using WeChat, as well as other Asian Instant Messaging applications (KakaoTalk and LINE) customers can not only shop but also order a wide variety of services from taxis to cinema tickets via the app. Through monetizing IM, these businesses have successfully created a practical, popular and ever-growing service that drives sales, can advertise promotions and push products on demand. Certainly, the future is bright for Instant Messaging. Companies are slowly but surely changing their online presence, reducing their exposure via social networks such as Facebook and Twitter and moving towards IM services. Today’s customers demand engagement and high levels of personalisation and when it comes to business revenue from the instant messaging sector, the secret lies in providing those value-added services integral to IM that perfectly meet these demands. Interested in Instant Messaging? To find out more about Fortytwo’s IM Gateway (in collaboration with Viber) and what Fortytwo can do for you, please contact our Business Development Team here.